(SPOILERS) I suspect it’s no coincidence that my favourite comic book adaptations tend to be ones that don’t pay an awful lot of heed to staying within standardised genre limits, be it Tony Stark out of the suit with a kid sidekick of Iron Man Three, the altered states romping of Hulk or now the pan-fried head trip of Legion. Ironically, the latter was co-produced with Marvel Television, whose Netflix shows have been on the determinedly moribund side. 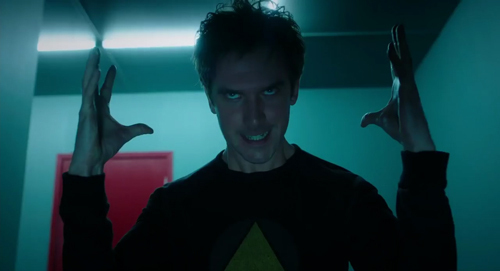 Indeed, Legion feels like a breath of fresh air in comparison, if perhaps lacking that certain something that would truly send it into the stratosphere. That’s partly because, however stylistically daring Noah Hawley’s series is, however beguilingly confused the mind of its protagonist becomes, and however evidently not in thrall it is to offering straightforward superheroics (of which there are very little), Legion definitely does conform to the genre’s limitations of defined supervillainy and quantified narrative devices and solutions. 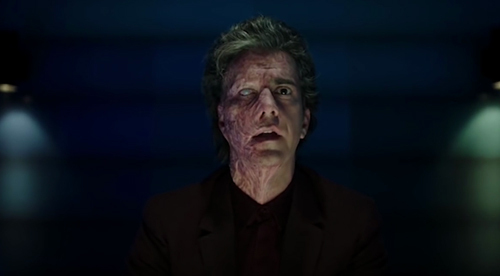 I don’t especially care that David Haller (Dan Stevens) is Charles Xavier’s son (and even less whether or not Patrick Stewart will cameo), or that Big Bad the Shadow King is an established entity of comic lore; I’m only really interested in how Hawley uses the character as a leaping off point to do his own thing. 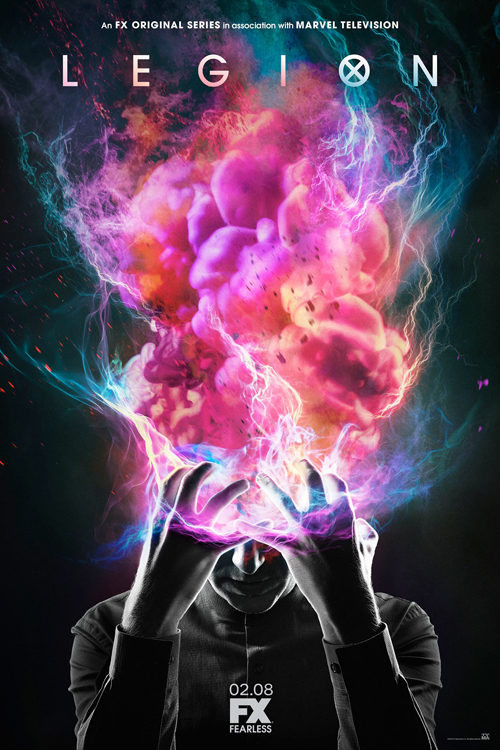 And when he’s doing his own thing, more often than not, Legion is a great show, firing on all cylinders in a not dissimilar fashion to Joss Whedon series of – now – old (say, the last couple of seasons of Angel), but with added visual aplomb. As such, the series is much more interesting when exploring David’s uncertain mindscape than when it settles into the well-ploughed terrain of a card-carrying evil mutant with standard nefarious motivations. Hawley has namechecked a host of inspirational elements, from David Lynch to Pink Floyd (Sydney Barret, actually using Floyd in the last episode) to Eternal Sunshine of the Spotless Mind, to Terrence Malick to Breaking Bad (inevitable?) 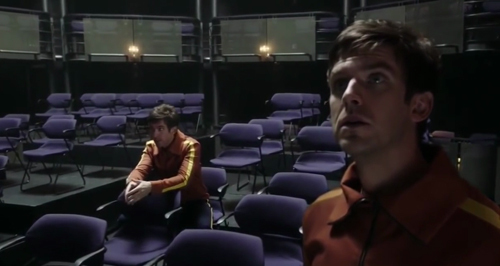 to, in terms of design aesthetic, “a 1964 Terence Stamp movie” and Hannibal (a show I didn’t care for at all, apart from its palette), and you can see those elements, but they tend to evidence that there isn’t anything fundamentally altered or askew in Legion’s construction; it’s all surface trappings. As talented as Hawley is in composing his narratives, it rather makes you think in retrospect that inserting a UFO into the last season of Fargo wasn’t a wild and whacky idea but rather his idea of what a wild and whacky person’s idea would be. That’s why I keep coming back to Whedon when I think of this show, both in terms of its broad, cartoonish characterisations (albeit fortunately absent the more egregious smart-mouthed pop culture quipping) and core Scooby gang of heroes, but also in its very measured, calculated approach to twists and reveals that, no matter how much they exert a grip, never truly take you out of the box, even when they apparently have; you’ll always end up back in a safe place, even when you think there’s been a game changer (albeit, the final season of Angel comes very close in places and is certainly something one couldn’t go too far wrong in aiming for). 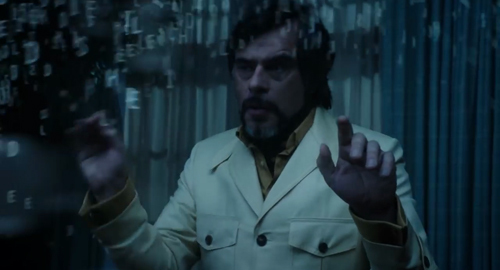 There’s a comfortable, finite quality to the design of their TV universes that is only underlined by limitations of scale and budget (Legion’s world is a very limited one, which works like gangbusters when trapped within the confines of a mental institution, less so when trying to depict the environment outside). One can expect too much of a show of course, and the willingness of Legion to set itself “out there” initially was inevitably, I think, going to result in some backtracking. It needs to bear some resemblance to the Marvel brand from which it has spun off, so if Hawley had really intended to go the “full Lynch” I doubt if he’d ever have got the green light. So too, there’s no mistaking what we have here for the philosophical probing of the oft-vilified Damon Lindelof, or any kind of interrogation of the nature of society and one’s place in it, such that when I’ve seen comments invoke The Prisoner I’m wondering if they’ve only seen the remake (even in terms of design, the comparison is far off the mark). 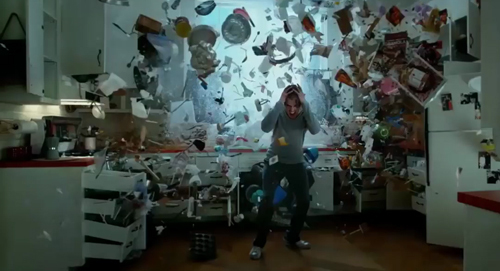 Even Legion’s take on mental illness fully embraces a frizzy, pop aesthetic, ready to discard and embrace it as the mood takes the writers (in the penultimate episode, David’s rational mind appears to cast off doubts of his afflicted state with the boxing up of the Shadow King, but it would make for a very pedestrian subsequent season if he becomes entirely stable, particularly since Legion’s main appeal thus far has been the untapped hollows of his mind). A better yardstick, both in terms of losing one’s marbles and design, might be Theodore J Flicker’s The President’s Analyst, but to pass muster in that regard, Legion would have to take on board a satirical element, and thus far there’s scant evidence the show is about anything beyond its ability to pull narrative rugs and stage wildly invigorating dance routines/musical set pieces. Cary: You have a very large amygdala. And yet, many times this over the tired, bloated Netflix shows. 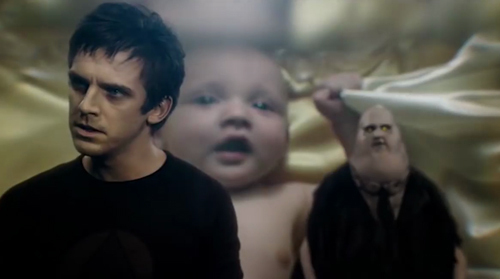 From episode to episode (and I admit I watched this over a couple of nights, rather than on first broadcast, so it may not have percolated in quite the manner it did for those who saw it the “traditional” way), Legion continued to surprise and impress, even if was mostly on a stylistic level – something that should never be underestimated, especially when style is so often a conservative thing on TV, even at its most luxuriant – flipping in the first episode from David’s interior, medicated state to the reveal of Sydney’s particular skillset and then providing one of those Escher-like potentialities that, alas, only go so far (“This is your memory of the day you called the hospital. Not the actual day, I’m inside your memory”), as Syd warns him inside his mind. Like Episode Six, where the Shadow King is controlling the state of play, returning us to the opening passages of the first episode, there’s a virtuosity on display here only diffused by our gradually becoming fully cognisant of the limitations of how crazy Hawley’s willing to get. Which is, no further than this being a game played. When a character asks “Could we still be in David’s mind?” in the fourth episode, the answer is: this show’s not really willing to turn into the season closer of Twin Peaks for its entire duration, so no. In terms of characterisation, then, the heightened quality goes to emphasise how little substance there is to anyone, as opposed to Fargo, where the broad strokes can be underplayed and so given more resonance. 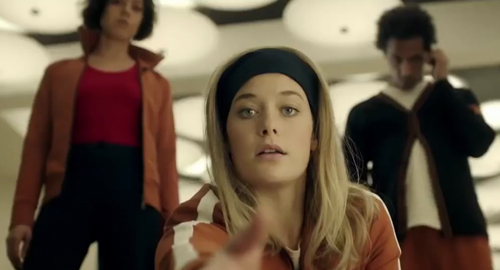 Rachel Keller made a big impact in a relatively small role in Fargo, but here, after the first episode, Syd doesn’t really say or do all that much to make an impact; instead, she tends to be defined by David. It’s all downhill from discovering her superpower. Likewise, Ptonomy (Jeremie Harris) does little of consequence after the second episode, besides firing a machine gun. Cary (Bill Irwin) and Kerry (Amber Midthunder) Loudermilk are much more consistently effective due to their interdependent relationship, one that feels like the most Whedonesque thing here, particularly when ructions develop, but they’re still defined by their visual sense (Kerry fighting heavies while Cary mimes her actions in the lab, playing mental games as patients in Clockworks). Better is Melanie (Jean Smart) and her distress over the inability of Oliver (Jermaine Clement) to remember her, his wife. Oliver: May I introduce you to my friend, Jules Verne. Indeed, Oliver’s astral hangout, and method of getting out and about by means of a virtual diving suit, is the most appealingly batty conceit in the show, such that, as with David’s undefined discord early on, the series deflates a little once he becomes corporeal once more. Clement is wonderful, of course, encouraged to indulge both his penchant for singing (notably in the final episode, when he takes off after a rendition of If I Ruled the World) and his ear for the absurd (“Too bad” he comments on being told bras are back, before recovering with “How do you feel about beat poetry?”) and even precisely underplaying the tragic beat of remembering Melanie just as the Shadow King is about to take possession of him. If the series is going to maintain a level of safety in not really pushing its capacity to go the full Lynch, it could use more of this kind of goofiness of ideas and visuals. David’s Rational Mind: Like I said, I’m your rational mind. Stevens’ performance is masterfully modulated, of course, although we’re occasionally led by the nose when it’s entirely unnecessary (does he really need to start wearing black when the Shadow King is assuming an influence in the fifth episode? ), and the bugs crawling through the fruit are very well-worn “evil under the skin” cliché. 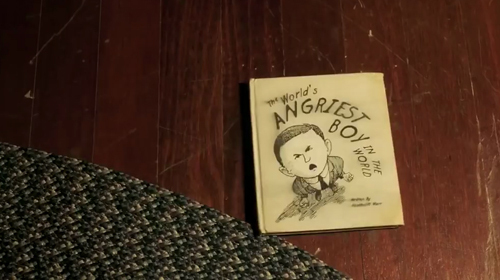 The “revelations” concerning his adoption (Professor X) and the Shadow King never really take on a compelling quality, any more than the standard motivational subplot concerning the threat to his sister (Katie Aselton). It’s lucky then, that much of the unfolding of the reveal elements occurs in the sixth and seventh episodes, set mostly within the mental landscape of the Shadow King’s version of Clockworks, and that the means of exposition (David conversing with his rational mind, laid out on an animated blackboard) are pocked with knowing humour (“Boo-hoo. Focus” instructs his rational mind at one point. “You’re right... I am pretty. I am loved” responds David). Aside from Mackenzie Gray’s permed Tom Waits-alike The Eye, the expressly monstrous aspects of Legion failed to really hold my attention, certainly not in terms of offering the stuff of nightmares. “The Devil with Yellow Eyes”, announced almost as soon as the show starts but revealed a little later, just isn’t that scary, looking rather like a Sin City reject by way of the obese vampire from Blade, while the picture book cut-out The Angriest Boy in the World, The Babadook by way of Frank Sidebottom, is similarly derivative and lacking in a real frisson. 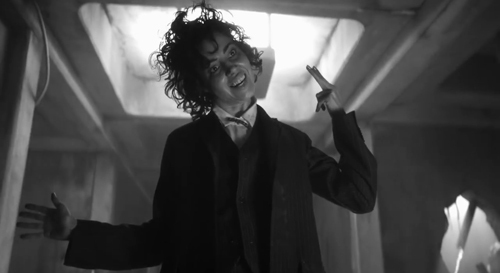 On the other hand, when Aubrey Plaza is revealed as the embodiment of the Shadow King, leading to such sequences as her dancing around her office to Nina Simone’s I Feel Good or – in possibly the standout passage of the season –menacing the hospital inmates a la Tim Burton meets Robert Smith in silent movie fashion, complete with caption cards, Legion shifts into the positively inspired (but again, it’s the kind of inspired that gave us Buffy’s Hush or Once More (With Feeling)). The fake reality is an oft-used trope, to the extent that it might be labelled a tired device rather than the relatively fresh one it one was (say, around when The X-Files used it in Field Trip), so interesting things being done with it tend to stand out. 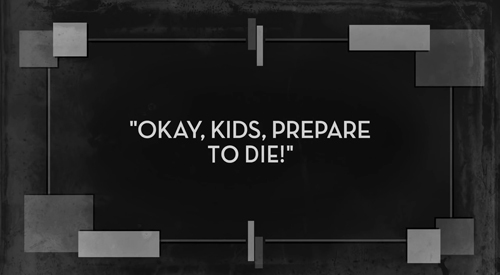 Final episodes as epilogues can be a relief when a show is as highly strung as Game of Thrones. I’m not sure it succeeds so much here. 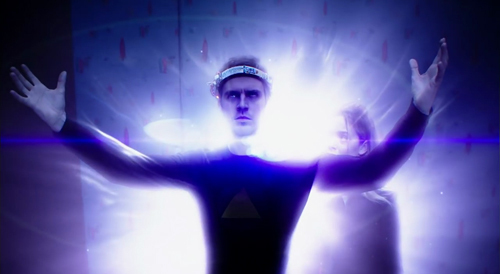 Some of the visuals are nice (the tree of soldiers), but the decision to switch focus completely to a character not seen since the opener (Hamish Linklater’s Clark), now with burns over 40% of his body following the swimming pool incident, is the sort of perspective switch Lindelof might have pulled after a whole season of Lost. It’s mildly interesting, but it smacks more of a self-conscious device than something equipped with sincerity, substance or intent to really explore a “bad guy”, despite David’s protestations that he wants to avoid a war and Hawley’s desire not to “send a message that all conflict can only be resolved through battle”. As such, I mostly had in mind the first Austin Powers’ depiction of the family of an evil henchman having to deal with his offhand death. Added to which, David’s abduction in the mid-credits scene just felt silly. Rather than a cliffhanger, it left a taste of anti-climax and probably would have been better cut out completely, really. Season One certainly delivered the goods visually, then (and in the case of the Cloud Atlas-inspired exploding kitchen, several times on repeat, to get its money worth), and musically (one wonders how much a soundtrack album including the likes of The Who, Serge Gainsbourg, The Rolling Stones, Jane’s Addiction, Thomas Dolby, Pink Floyd and T-Rex would cost to licence, which probably explains why only Jeff Russo’s incidental music is available). I’m mildly intrigued at what Hawley has in store for the second run, but I’m also wary that he hasn’t now established too level a playing field for an ostensibly antic series, and that it may lack the potential to truly surprise. I’ll happily keep coming back for the musical numbers, but I’m nursing the hope it can be something more than that.